Finding the right camp for your child takes time. Preparation and persistence are key to the process and will greatly increase the chance for success. Before delving into a series of specific steps that should help unlock this complex process, however, it is important to understand that there is no such thing as the perfect camp! Equally important to keep in mind is that just because a camp worked well for a parent or sibling does not necessarily mean that it will work well for the next child in line. Each camp, like each child, is unique and possesses various strengths and weaknesses that formulate an individual character. Parents can rarely start their search for camps early enough. Ideally, the process should begin at least one summer season prior to the child’s enrollment in a program. Hands down, the best way to understand the nature of a summer camp is to make a visit and spend some time observing the operation in action. Seeing the camp population, facilities, staff and programming up close and personal peels away the promotional aspect of websites, brochures and conversations with camp directors and allows for the observer to get a real sense of the character of a program. With a tour in hand, a parent will be far more prepared to interview the camp director when the times comes to make a decision as to whether a particular camp is best suited to meet the needs of a child; and make no mistake about it, parents need to interview camp directors as much as camp directors need to interview campers in order to determine compatibility. There are thousands of camps of all types scattered across the United States and Canada. Each shares certain aspects of the camp culture. However, each also has their own evolved culture that creates a certain uniqueness. It is these differences that parents need to take into consideration when narrowing their search. Truly effective camps know what they can do and equally important know what they cannot do. “One size fits all” may work for some industries, but certainly not the camp industry. Camps of quality should be able to articulate their philosophy and offer parents with a clear understanding of the type of experience that they aim to provide their campers. Specialization in particular activities, varying levels of competitiveness (athletic and social), rigidity of structure and routines are all building blocks on which camp programs are built. Each camp should have a clear set of goals for its campers and be able to articulate how they intentionally work with campers to achieve these goals. If parents can identify their preferences for some of these basic attributes of a camp and establish a set of goals that they have set for their children, it will quickly allow for the identification of potential summer camps and generate a list of programs for further study. Parents can find camps and generate lists of potential programs through a variety of avenues. Speak with other families about their experiences; speak to school counselors and therapists for recommendations. Parents can look on-line at dedicated search engines designed to help families find camps such as http://www.kidscamps.com , http://www.camppage.com . 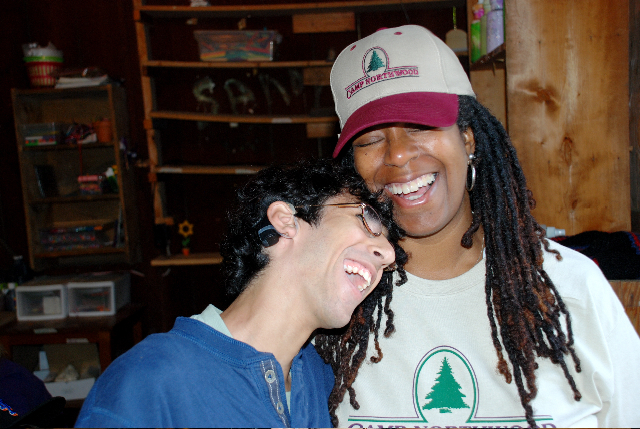 Additionally, families can seek out camp placement specialists that work to help match children to appropriate camps. Once a preliminary list of camps has been made, it is time to get to work. Even before you pick up the phone to speak with a camp, parents should scour the internet reviewing websites, Facebook pages, reading reviews and generating a list of thoughts, questions and comments about the electronic and print image the camp has established. Keep in mind that summer camps are businesses first and foremost. This is not a bad truth as there are 1,000s of camp professionals that have dedicated their lives to the industry and create excellent summer experiences for children year in and year out. However, like any industry, camps are going to promote their strengths, diminish their weaknesses and create a marketable image with which they will attempt attract potential clients. “Buyer Beware”- with newfound information and questions at hand, it is time to make contact with the camps that could be a potential match for your child. Whenever possible, speak with the director. The director is the face of the program and your first impressions can give you a fairly good indication of the culture of a camp. Tone of voice, ability to answer questions, willingness to take the time you need to understand their camp program and level of interest in your particular needs and those of your child often indicate a style of leadership and professionalism. Remember, the director is going to be responsible for the life of your child! You certainly want to feel a sense of comfort and trust in their ability to accept this awesome responsibility. Ideally, parents should set up a time to meet, or video chat, with the director. Face to face meetings offer a far more efficient method of information exchange. Considerable information is shared in these meetings via non-verbal communication that is totally lost on the phone or through correspondence. It is critical to always remember that the directors and parents are interviewing each other. The decision as to whether a child should attend camp should be the outcome of a mutually inclusive process during which both sides exchange critical information necessary to determine the appropriateness of a working relationship. Do not sugar-coat any aspects of your child. A complete exchange of information outlining your child’s strengths, interests, medical considerations, allergies, learning challenges, personality and other behavioral aspects will help the director determine the camp’s ability to meet your child’s needs. What to ask a director? The following list is a sampling of a number of important questions that a parent should consider when speaking with camp professionals. Some or all may be pertinent to your needs and there will be others that you will want to ask specific to your child. Perhaps the first question that a parent should ask is whether the camp is accredited by the American Camp Association. In order for a camp to be accredited, they must comply with certain standards for safety, staffing, facilities and operational excellence. Accreditation is by no means a guarantee that a camp is right for your child, but it does indicate a level of compliance with industry standards. Also, remember that yes / no questions do not elicit details. Prepare your questions carefully! For organizational purposes the following questions have been organized by category. Who is the person in charge on-site at camp and how accessible are they to parents? What are the steps involved in hiring staff members and how are background checks conducted? What are the minimum requirements to be considered for a counselor position and does each group have experienced counselors working with the campers? Are Jr. Counselors or CITs utilized by the camp to supervise campers? What is the percentage of returning staff? Have staff members ever been let go during the summer season and what were the circumstances? What is the percentage of returning campers? What is the ratio of campers to counselors? How many campers per group? How would you describe the typical camper profile? How many boys/girls are at camp at a similar age and compatible with my child? Have campers ever been sent home during the summer season and what were the circumstances? Which activities are emphasized and what is the level of competitiveness? How often can my child take part in their favorite activities? Are there any field trips built into the program? Are there any additional fees related to programming? How many campers are assigned to cabin? What facilities are provided for rainy day programming? How extensive are the camp’s medical facilities? What type of medical staff is on duty and how are medications handled? What permitting state agency inspects the facilities/ program on a regular basis to insure safety and quality of program? Have a child similar in age and would be potential bunkmates of their child. Are just coming off their first summer experience. These two requests will insure that families will not only get a sense of the children that will make up their child’s primary social group while at camp, but will also enable families to speak with other parents that have most recently gone through the camp search process. Did the camp produce the experience they advertised? How did the camp keep you informed as to the progress of your child during the summer? Were you comfortable with the leadership of the camp and was the camp’s administration available to you? What type of social growth/ independence have you noticed in your child following their experience at camp? How would your child describe their experience at camp? What was your child’s favorite meal and did they gain or lose weight while at camp? What was the greatest strength and weakness of the camp program? Finding the right camp for your child takes time and requires research, due diligence, interviewing and reference checking. The decision is not one that should be made lightly or under pressure. It is not unreasonable to ask for a short period of time to evaluate a program following the selection process. Quality camp programs typically will not require deposits at the time of the interview. At the same time it is important to realize that it is unreasonable to expect a camp to hold a spot for more than a week or two as you make your decision. Be sure to fully understand the camp’s expectation for this period of consideration and remember that the more information you have, the better decision you can make. If you have made a selection and are ready to register your child with a camp, be sure to review the registration contract so that you fully understand the terms of payment, refund policy, added charges and any other specified items related to your child’s summer experience, all of which should be outlined in the registration contract. Finding the right camp can provide a lifetime of memories for your child. If you were a camper as a child, most likely there are wonderful memories that continue to warm your heart and perhaps produce a chuckle or two. The key to success is preparation and persistence. There is an appropriate camp out there for every child! Good luck and have fun with your search.